3 years ago ago by saveloraturtles. 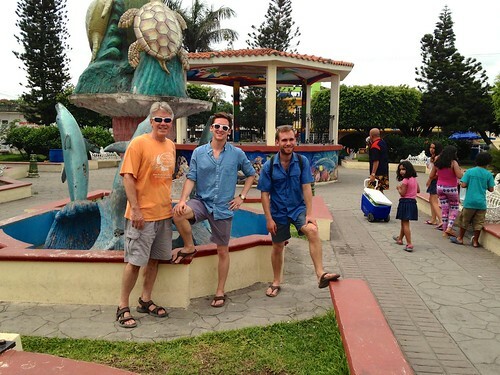 Tecolutla is a small fishing town in the state of Veracruz, on the Gulf of Mexico, and the hometown of Papa Tortuga. A midpoint between Tampico and the bustling port city of Veracruz, it takes five or six hours to drive from Mexico City through the mountains to Tecolutla. This is not a town frequented by American tourists, but it is a favorite vacation spot for “middle class” Mexicans who come to spend their holidays at the sea. It is a colorful town with plenty of charming, little fresh air restaurants and souvenir shops. Musicians stroll the beaches, the streets and just seem to turn up everywhere, with marimbas, harps, drums, etc. It is a village that is almost surrounded by water, with the rich Rio Tecolutla bordering the south west side. El Tajin, an archeological site dating back to around 300A.D. is only about a half hour drive away from Tecolutla. It is fascinating to explore this ancient city, with its pyramids and sacred ball courts. The Voladores of Papantla perform here daily, displaying their amazing act of worship which has them climbing to the top of a 150 foot pole, tying rope around their ankles and jumping off. While they spin gracefully down and around the pole in their colorful costumes, another member remains balanced at the top, playing traditional melodies of the Totonaca Indians.